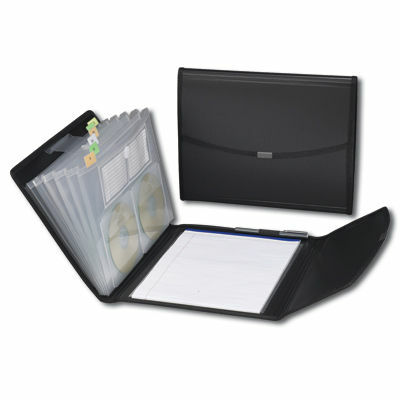 Unique pad folio includes seven-pocket expanding file with protective cover and hook and loop closure to secure contents. 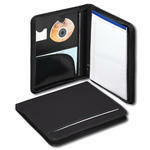 Two generous pockets hold DVDs/CDs or other loose items, two clear pockets hold index or business cards, and elastic loop holds pen. Notepad can be inserted two different ways, making it perfect for left- or right-handed users. Durable poly material is tear and water resistant.